November news: November is shaping up as a dream month for Hollywood. With a new Bond film to launch the month, the "Hunger Games" finale two weeks later and a Pixar/Disneyanimated adventure for Thanksgiving, the multiplexes are bound to be sizzling. Here's a quick look at the wide releases on deck over the next four weeks that should generate a November box office heat wave. 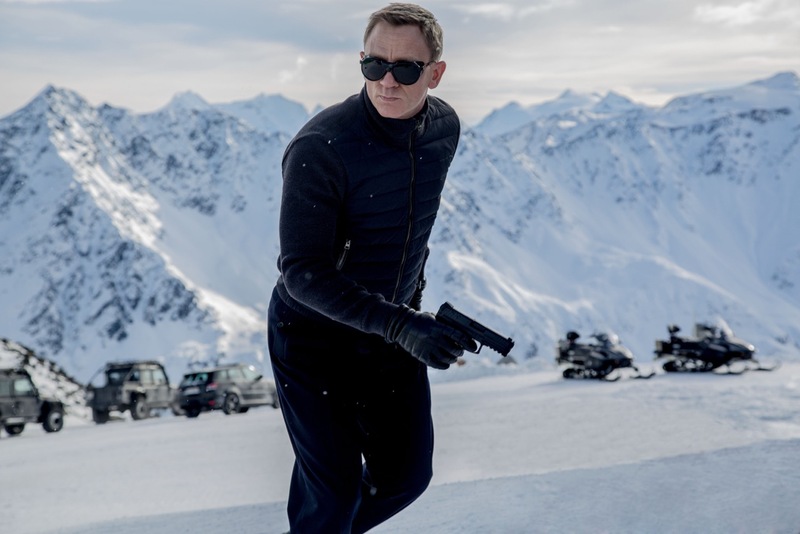 The month will kick off on the right foot with the Nov. 6 arrival of MGM, Columbia Pictures and Eon Productions'PG-13 rated action adventure spy thriller "Spectre." Directed by Sam Mendes ("Skyfall"), it stars Daniel Craig as James Bond, Christoph Waltz , Ralph Fiennes and Monica Bellucci. The new Bond should play best to adult men and should also play well to adult women. In the latest Bond, the 24th episode in the official 007 franchise that began with 1963's"Dr. No," a cryptic message from the past sends Bond on a rogue mission to Mexico City and then Rome where he meets Lucia Sciarra (Bellucci), an infamous criminal's beautiful and forbidden widow. After infiltrating a secret meeting, Bond uncovers the existence of the sinister organization known as SPECTRE. The previous 23 official Bond franchise episodes grossed $1.9 billion domestically. The last one, "Skyfall," was the series' biggest boxoffice success. After opening Nov. 9, 2012 to $88.4 million, it went on to do $304.4 million domestically. Another very familiar character will also surface Nov. 6 in 20th Century Fox and Blue Sky Studios' G rated 3D animated comedy adventure "The Peanuts Movie" from the imagination of Charles Schultz and the creators of "Ice Age" and "Rio. "Families – and especially moms-with-kids -- are its target audience. Directed by Steve Martino ("Ice Age: Continental Drift"), it stars the voices of Francesca Capaldi, Madisyn Shipman and Noah Snapp. Charlie Brown, Snoopy, Lucy, Linus and the whole gang are on hand for this first "Peanuts" theatrical film in 35 years. Charlie Brown, the world's most beloved underdog, embarks upon an epic and heroic quest while his best pal, Snoopy, takes to the skies to pursue his arch-nemesis, the Red Baron. Three wide openings are set for Nov. 13. Universal Pictures and Plan B Entertainment's R rated romantic drama "By the Sea"is an awards hopeful written and directed by and starring Angelina Jolie Pitt, a best supporting actress Oscar winner for "Girl, Interrupted" and starring Brad Pitt, an Oscar winning producer of "12 Years a Slave." Set in mid-70s France, it's an adult appeal tale about a former dancer and her American writer husband, who seem to be growing apart until while lingering in a quiet, seaside town they meet some of its particularly vibrant inhabitants. Angelina Jolie Pitt directed the 2011 documentary "In the Land of Blood and Honey," a best foreign language Golden Globe nominee, and the 2014 biographical drama "Unbroken," which was nominated for three Oscars. Warner Bros., Phoenix Pictures and Alcon Entertainment's PG-13 rated drama "The 33"is directed by Patricia Riggen ("Girl in Progress") and stars an ensemble cast, including Antonio Banderas, Rodrigo Santoro, Juliette Binoche and James Brolin. It should play best to adult males. It's based on the headline making real life event in which a gold and copper mine collapsed in Chile, trapping 33 miners underground for 69 terrifying days. Lionsgate, CBS Films and Imagine Entertainment's PG-13 rated comedy "Love the Coopers" is directed by Jessie Nelson ("I Am Sam") and stars an ensemble cast, including Alan Arkin, John Goodman and Ed Helms. The holiday theme comedy should play best to adults. The film revolves around four generations of the Cooper family, who gather for their annual Christmas Eve celebration. Things don't go as expected due to some unexpected visitors and unlikely events. But the result is a surprising rediscovery of the importance of family and a new appreciation for holiday spirit. Not surprisingly, Nov. 20 will be crowded with four new wide releases getting into position a week before Thanksgiving when movie going expands. 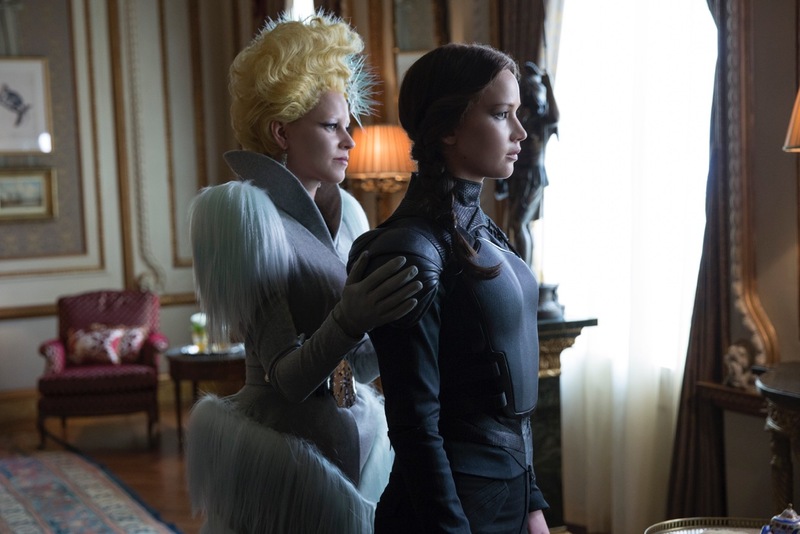 The weekend's 800-pound box office gorilla is Lionsgate and Color Force's PG-13 rated sci-fi adventure "The Hunger Games: Mockingjay - Part 2"from Francis Lawrence, director of "The Hunger Games" episodes "Mockingjay - Part 1" and "Catching Fire." Starring are: Jennifer Lawrence, Josh Hutcherson and Liam Hemsworth. It should play best to under-25 females. In the blockbuster franchise's concluding episode, after she's been symbolized as the Mockingjay, Katniss (Lawrence) and District 13 engage in all-out revolution against the Capitol. The first three "Hunger" episodes grossed $1.1 billion domestically. The last chapter, "Mockingjay - Part 1," opened Nov. 21, 2014 to $121.9 million and went on to do $337.1 million domestically. Columbia, Good Universe and Point Grey Pictures' R rated comedy "The Night Before" is directed by Jonathan Levine ("Warm Bodies") and stars Joseph Gordon-Levitt, Seth Rogen and Anthony Mackie. It should play best to under-25 males. The three stars play childhood friends who for a decade have reunited on Christmas Eve for a night of debauchery and hilarity. But now that they're adults, that tradition's ending. To end it perfectly, they set out to find the Holy Grail of Christmas parties. The R rated dramatic thriller "Spotlight" from Open Road Films, Participant Media and First Look goes wide Nov. 20 after playing in limited release. It's an adult appeal drama with Oscar potential in key categories, including best picture, directing and original screenplay. Co-written and directed by Tom McCarthy, director of "The Station Agent" and an original screenplay Oscar nominee for "Up." Starring are: Oscar nominees Mark Ruffalo, Michael Keaton and Stanley Tucci and Rachel McAdams, Liev Schreiber and John Slattery. It's the true story of the Pulitzer Prize-winning Boston Globe investigation that caused a crisis in one of the world's oldest and most trusted institutions. Delving into allegations of abuse in the Catholic Church in a year-long investigation, the newspaper's Spotlightreporting team exposed a decades-long cover-up at the highest levels in Boston. STX Entertainment's PG-13 adult appeal mystery thriller "Secret in Their Eyes" rounds out the weekend's arrivals. Directed by Billy Ray ("Shattered Glass"), it stars Chiwetel Ejiofor, Nicole Kidman and Julia Roberts. It's a remake of the 2009 film directed by Juan Jose Campanella ("Underdogs") that starred Ricardo Darin, Soledad Villamil and Pablo Rago. In "Secret," an investigating team -- Ray (Ejiofor), Jess (Roberts) and their supervisor Claire (Kidman) -- is torn apart after Jess's teenage daughter is brutally murdered. Now, 13 years later, after obsessively searching for the elusive killer, Ray uncovers a new lead he believes will resolve the case, nail the murderer and bring closure to the team. With Thanksgiving falling on Th., Nov. 26, Hollywood has set four wide openings for Wed., Nov. 25. Since family movie going is a big part of the extended Thanksgiving holiday weekend, it's perfect timing for Pixar Animation Studios and Walt Disney Pictures' PG rated 3D animated comedy adventure "The Good Dinosaur" from the creators of "Inside Out." Directed by first time feature director Peter Sohn, who was an animator on "Ratatouille" and "The Incredibles," its voice talents include Raymond Ochoa, Jeffrey Wright and Steve Zahn. The film revolves around the idea, "What if the asteroid that forever changed life on Earth missed the planet completely and giant dinosaurs never became extinct?" In this epic journey into the world of dinosaurs, an Apatosaurus named Arlo makes an unlikely human friend, learns the power of confronting his fears and discovers what he's truly capable of doing. 20th Century Fox and Davis Entertainment's PG-13 rated sci-fi horror drama "Victor Frankenstein" is directed by Paul McGuigan ("Wicker Park") and stars Daniel Radcliffe, James McAvoy and Jessica Brown. It should play best to under-25 males. In this new twist on a legendary tale, radical scientist Victor Frankenstein (McAvoy) and his equally brilliant protégéIgor Strausman (Radcliffe)want to help humanity through their groundbreaking research into immortality. But when Victor's experiments go too far and his obsession has horrifying consequences, Igor must bring him back from the brink of madness. Warner Bros., New Line Cinema and MGM's PG-13 rated drama "Creed" is directed by Ryan Coogler ("Fruitvale Station") and stars Michael B. Jordan and Sylvester Stallone. It should play best to 25-plus males. In "Creed," former World Heavyweight Champion Rocky Balboa (Stallone) serves as a trainer and mentor to Adonis Johnson (Jordan), whose late father, Apollo Creed, was Rocky's friend and former rival. Rounding out Thanksgiving weekend is Focus Features and Film4's PG-13 rated historical drama "Suffragette," an awards hopeful that goes wide after having played in limited release. Directed by Sarah Gavron ("Brick Lane"), it stars Carey Mulligan, Anne-Marie Duff and Helena Bonham Carter. It should play best to women over 25. "Suffragette"focuses on the foot soldiers of the early feminist movement in England -- women who were forced to go underground to pursue a dangerous game of cat and mouse with an increasingly brutal government. Radicalized and turning to violence as their only route to change, they were willing to lose everything in their fight for equality. Bottom line: It's a safe bet that Hollywood will be giving thanks for November's ticket sales.